The stylish 400mm diameter round counter top basin bowl with a matching Swift round high rise mono basin mixer, designed to be mounted onto a worktop console or piece of vanity furniture. The basin comes with no tap holes. Part of our range of designer bathroom products. 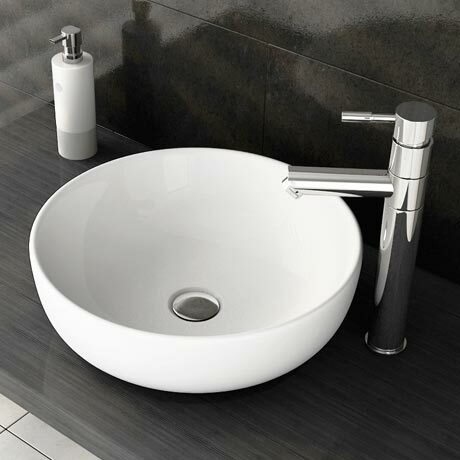 Tap features a stylish lever design with a smooth round body. Manufactured from solid brass with a shiny chrome finish. It's contemporary design will bring a touch of sophistication to your bathroom. Absolutely delighted with the quality and value for money - looks amazing. Good quality product and prompt delivery.